Do you want to either sell or retire a Mac that has a solid state hard drive (aka Flash Storage)? If so, it is prudent to securely erase the hard drive beforehand. Here are instructions on how to do this. This procedure will make all of your personal data inaccessible. During this process we will be enabling FileVault, which encrypts everything on your Mac’s hard drive. Then we will reformat the hard drive which prevents anybody from accessing anything that was stored on the hard drive. These instructions assume your Mac is using OS X Lion (aka OS X 10.7) or newer. Note: This process can take many hours so you may want to start the encryption at the end of one day and let your Mac’s hard drive get encrypted overnight. Click the padlock icon in the lower left corner to unlock this window so you can make changes. You’ll be prompted to enter your Mac user account’s password. Restart your Mac when prompted to let the encryption process begin. Sit back and wait while everything on the Mac’s hard drive is encrypted. This can take many hours. You can open up the Security & Privacy system preference pane to monitor progress and view a time estimate. Immediately press and the Command and R keyboard keys. This’ll trigger the Mac to startup from its Recovery Partition. Click on Disk Utility from the list of options. Optionally, click on Reinstall Mac OS X from the list of options. 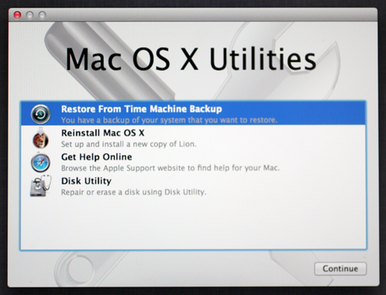 Follow the prompts to re-install the Mac operating system. This process typically takes about an hour. Read more about encrypt, erase, file vault, flash storage, hard drive, mac, reformat, sad, securely.